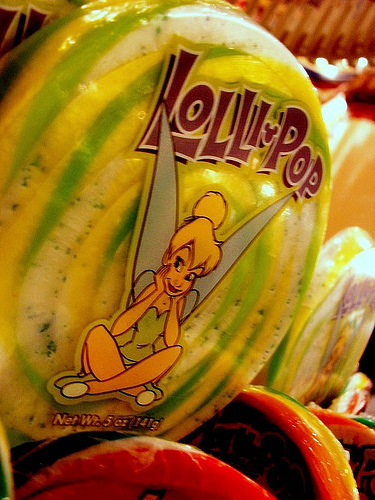 Tinkerbell lollipop. . Wallpaper and background images in the Tinkerbell club tagged: tinkerbell. This Tinkerbell photo might contain دوپہر کے کھانے, ظہرانے, ٹفن, dejeuner, ٹاففان, کلیو, antipasto, انٹاپاسٹو, and سرخ بند گوبھی.